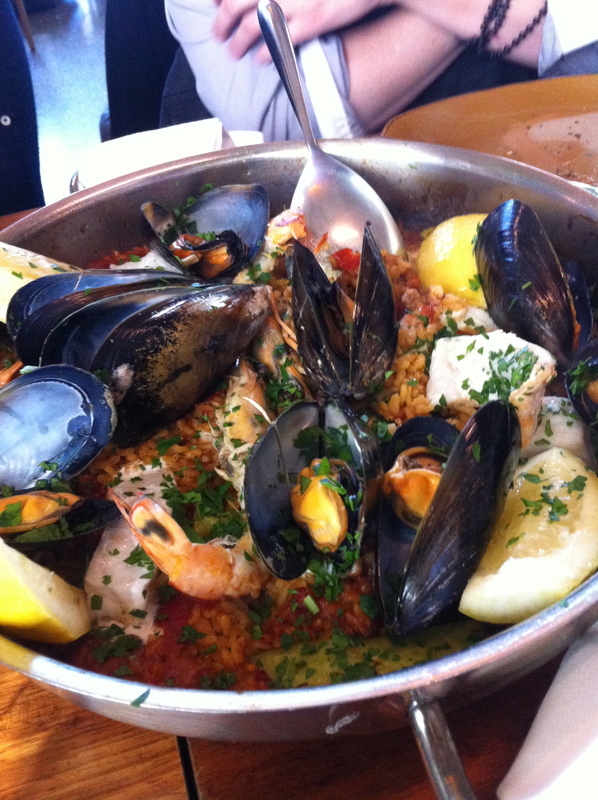 Movida Aqui… Yummy Spanish Food! | 15,000kms of Food! Movida Aqui… Yummy Spanish Food! We are so lucky to have 3 Movida’s in Melbourne. The original Movida which is constantly booked out and a bit more upscale, the uber cool Movida Next Door which is constantly packed… and then we have Movida Aqui which is located in a quieter part of the city, but has the same great food and service (without rejections when booking or waiting an hour for a table!). 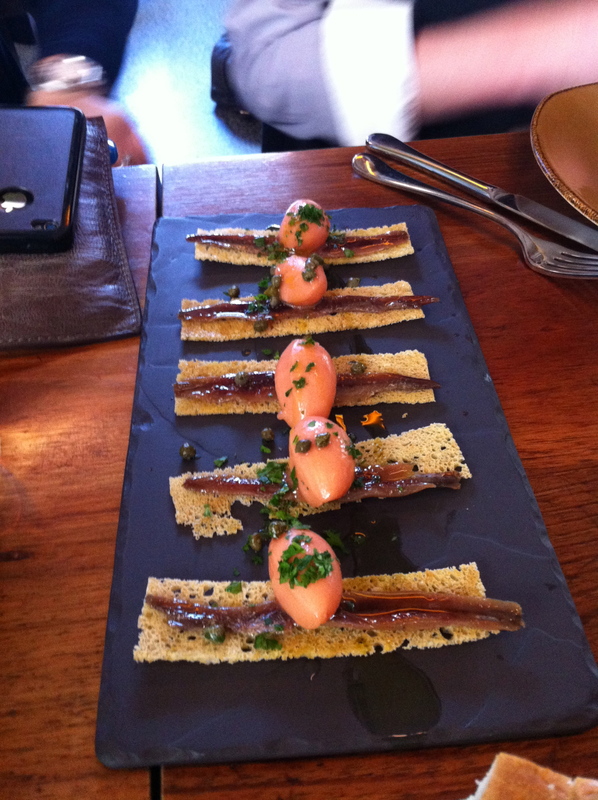 First item was from the tapas menu, Anchoa which was described as hand-filleted Cantabrian Artisan anchovy on crouton with smoked tomato sorbet. Yeah, I’m not normally a fan of anchovies but someone else wanted to order this and I gave it a go… and it was amazing! The fish wasn’t overpowering and with the crispy crouton and icy cold sorbet it was a great combination. 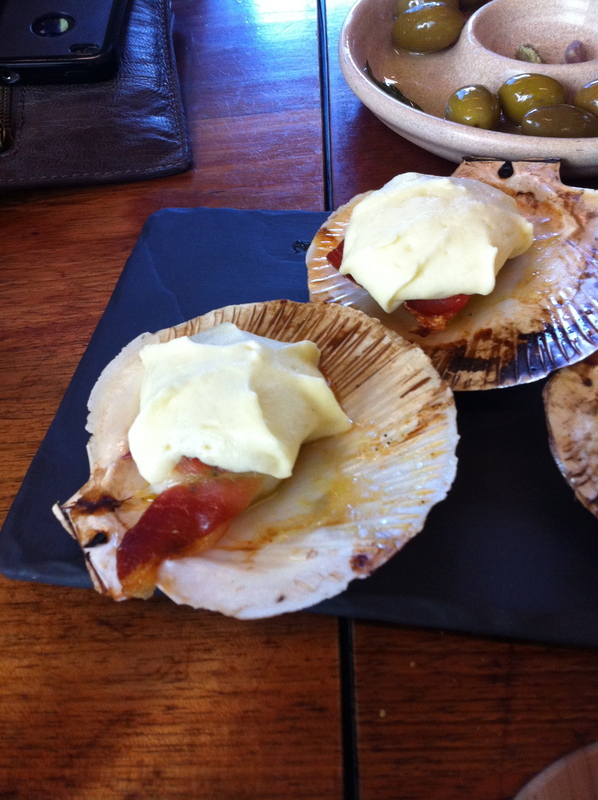 Next up was the Vieira which was live half shell Western Australian scallops with jamon and potato foam… perfectly cooked scallop with salty jamon topped with a creamy foam, you can’t go wrong! No visit to a Spanish restaurant would be complete without a paella, and we had the Paella de Marisco which had Bomba rice cooked with seafood and saffron… perfectly cooked seafood, the rice at the bottom of the pan had that lovely crispiness and tasty saucy flavours! Yum! Last dish we had was the steak… it probably has a fancy name (which I don’t recall) but it was a massive (400g?) fillet off the bone perfectly cooked and served with potato puree. It was awesome! One of my favourite places to dine in Melbourne – hassle free, great atmosphere and good food! I would gladly choose this over the other 2 Movida’s! 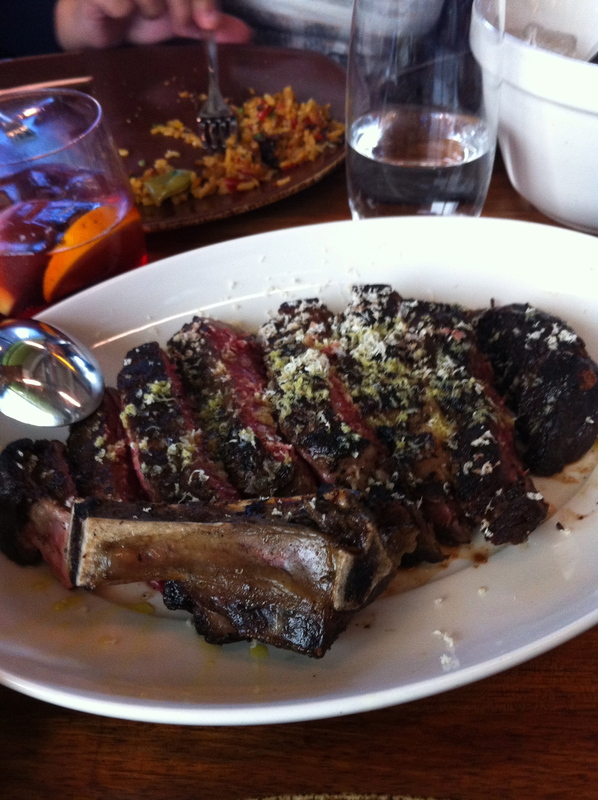 Previous PostDavid Burke at BloomingdalesNext PostEstelle Restaurant & Bar… great new dining experience! Yum! Looks fantastic. I’m lucky enough to live in Spain, but this looks close to the real thing! Thanks! Your blog is great – I’m visiting Spain in Aug/Sept and will have to ask you for food advice!